In an interview, Pedro Pedraza, a member of the original staff of Centro, said that while some believe that political activism should be kept separate from academic studies, Bonilla’s stance was clear – to do something beneficial for the community one had to engage in advocacy, activism, and organizing work as an essential aspect of the research process itself. process was instituted at Centro with the creation of an advisory community board called the Directiva. The Directiva members presented ideas for research that guided the Centro’s research agenda and the actual studies undertaken. The structure of the Directiva was similar to other committees with participation of practitioners, advocates, students and faculty. This practice of inclusion would enable Centro to get information from the field, not only from the academy. “He put a lot of work into this to find out what the community needed,” Pedraza said. Community members and researchers also worked together from different areas of study, such as history, culture, language, policy, etc., in interdisciplinary teams. This was productive because researchers would collaborate to gain a more holistic understanding, to enhance each others work and develop more critical perspectives. vote he would abide by the consensus. “His style of leadership was not to tell you what to do, but to assist you to come up with the answers yourself,” Pedraza said. 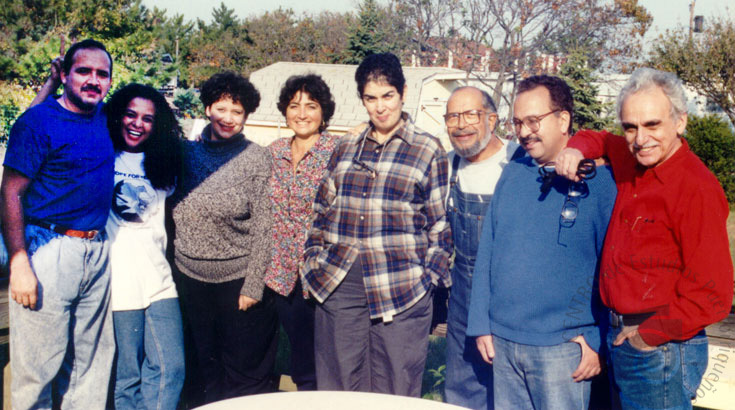 In 1986, while at Centro, Bonilla co-founded the Inter-University Program for Latino Research (IUPLR), the first academic research organization stateside to address Latino issues on a national level. Beginning with eight universities, it now comprises over twenty working together to study the global, national and economic forces affecting Latinos in the U.S.
Interview with Pedro Pedraza by Camilo Salas, Centro.